Peach Tobacco is a fruity peach flavor with a tobacco twist. This pod is designed to work with the Cue Vapor System only. The peach tobacco pods for the cue taste good i just wish they lasted longer. The Peach is awesome, always a tough decision between it and the chocolate banana. Peach tobacco is a great flavor, nothing wrong with it. Peach is my favorite, although I do swop out cartridges to mix it up a bit. 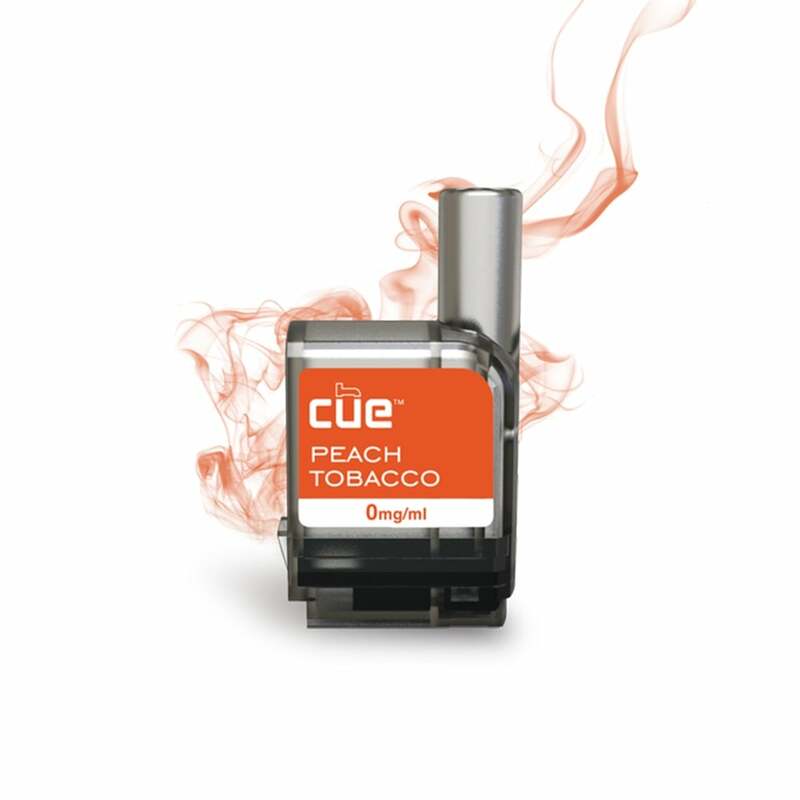 This is the awesome thing about the Cue, pop out one flavor and just pop in another flavor and you have a different experience. First time I tried I thought that Cue had nailed the taste. The 2nd purchase taste imo was not right on. Maybe its me, I don't know why it would not be consistent?. One of my two favorite flavors. I really love the Peach and Tabacco combination on this flavor pod. I love It!!!!!! A+++++++ Recommended!!!!!!!! Flavor is okay. The cue make other great flavors besides this one. Cue nailed this peach. Its taste as natural as one could want for vaping. Its also very smooth. I use this as a break from smooth tobacco. Occasionally it is super refreshing. The other one I occasionally smoke besides Smooth Tobacco to quit smoking cigarettes. This has a real good peach tobacco aftertaste! 31st January 2018 - JOE ORR JR.